The Bible says that water baptism is the first step of obedience after salvation. ​Click through these common questions to learn more, or click on the link below to view a downloadable version. The word baptize means "to dip under water". The Greek word baptize means "to immerse or dip under water". It symbolizes Christ’s burial and resurrection! ​There is no reason to delay. As soon as you have decided to receive Christ into your life, you can and should be baptized. If you wait until you are "perfect,” you´ll never feel "good enough". If you have been a follower of Christ for some time, though, it’s never too late! 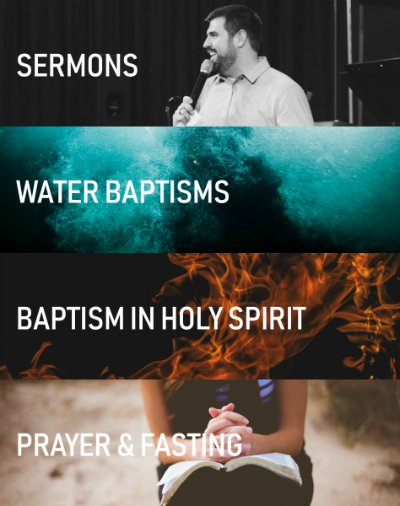 Whom does Summit Church baptize? ​At Summit Church, we wait until our children are old enough to believe and understand the true meaning of baptism before we baptize them (typically ages eight and up). ​Wear clothes that will not retain much water (jeans are not good), such as long swim trunks or dark shorts. Please wear a dark colored t-shirt. Make sure to bring a change of clothes, a towel, and a plastic bag for your wet clothes.